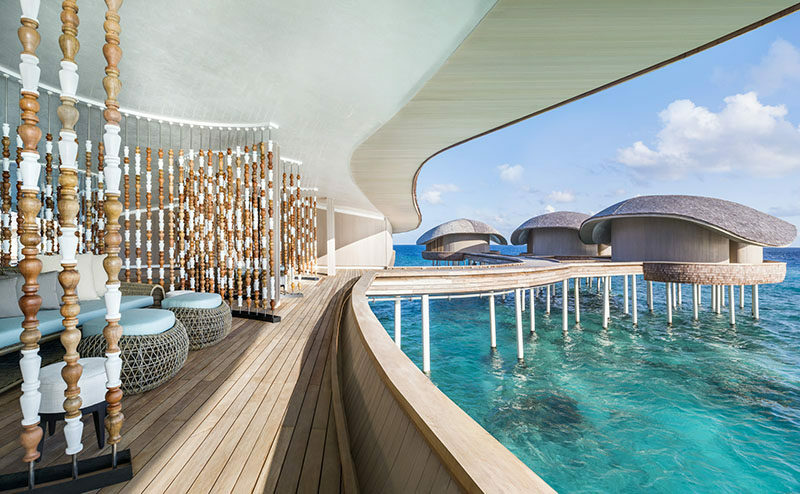 The new Iridium Spa was designed as part of the St. Regis Maldives Vommuli Resort in the Maldives. 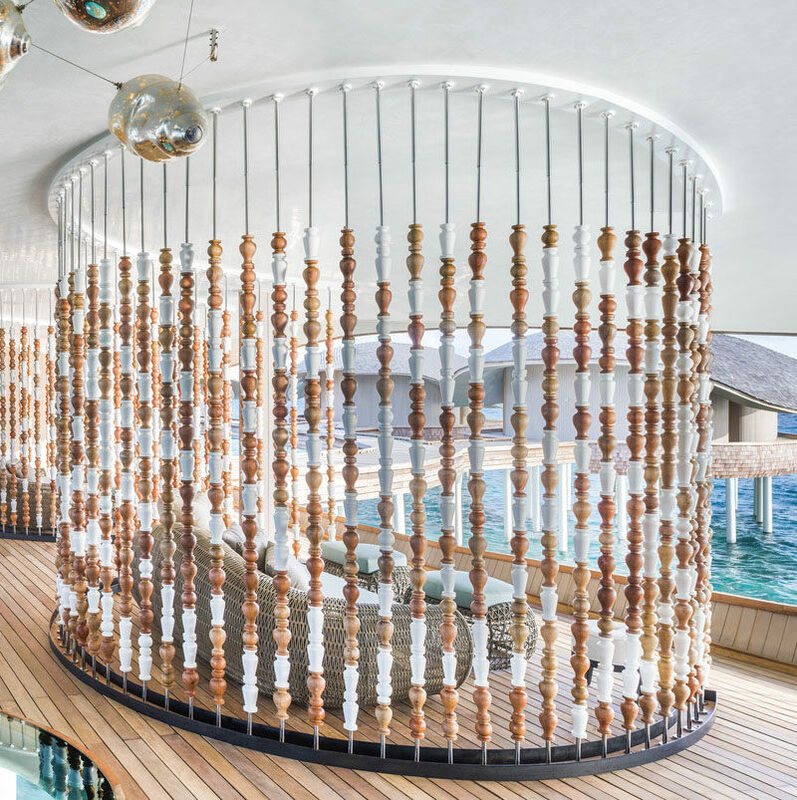 Within the spa is a relaxation space that looks out to the water and has sections of seating separated by abacus-like curved room dividers. Each divider uses white and wood pieces that are threaded onto a metal rod that runs from the floor to the ceiling, to create some privacy without installing solid walls, allowing the breeze to pass through, and therefore allowing for a calm and relaxing environment.